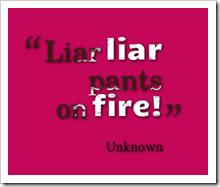 What should be done with an employee who tells “little white lies” often at work? Their coworkers are becoming very upset by this as they are always very honest. They feel like they are being played as being dumb because this employee thinks they are pulling the wool over their coworker’s eyes with their lies. What has angered these coworkers even more is the fact that when they bring the lie to the attention of their manager; he simply turns a deaf ear to them. 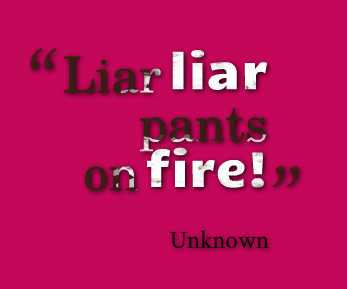 These lies are not about anything real big or too serious, but nonetheless they are lies and they happen frequently. 1. This employee was supposed to place an order with the office supply company on Friday. On Monday when the manager asked if the supplies were ordered they said “yes, but it was late Friday afternoon so we will not get them for a couple of days.” Then this employee goes into their office and places the order. 2. A coworker who is working on a project with this employee and others sent out a couple of emails regarding the project and individual tasks. When she asked this employee why they didn’t reply, they told her they did not get any emails. She checked with everyone else on the team and they all received the emails. She had the email address correct and she had sent previous emails to this employee and they had been received. Why would he not get these few? 3. A customer was having a problem and talked to this employee who was going to do some research and get back to the customer. Several days later the customer called and was unhappy because they never received a call back. When this employee was approached with the issue they said that they did call the customer back and left a message on their cell phone. They had no idea why the customer did not get it. The customer had no record of any incoming call from the business. None of these issues are real serious if they were true, we all make mistakes. Given the fact that this person says these things like this on a regular basis and they are not true, is a big problem. The manager may not want to deal with this situation because replacing a trained employee is costly (and takes time) and the fact that the lies are not real serious in themselves. Since they do not really affect the business too much why go through the trouble of confronting this employee, which no one likes to do. I feel bad for the employees who work directly with this employee; it must be difficult to put up with his continuous lies. They don’t want to go to their boss again about this situation because he seemed a bit annoyed the last time they did. They do not want to make themselves look like tattle-tales or jeopardize their jobs. How would a situation like this be handled in your place of business? Please leave a comment, I would appreciate hearing from you. This entry was posted on Wednesday, August 19th, 2015 at 8:00 am by Tina Del Buono, PMAC. Filed under Employee Management, Leadership, Manager Topics, Medical Practice Management, office management, Self-improvement. You can follow any responses to this entry through the RSS 2.0 feed. Both comments and pings are currently closed.